Self-sabotaging money habits keep your clients stuck and prevent positive financial change. As life coaches, each of you understand that enabling your clients to make life changes is not the answer. Instead, the most effective approach is to empower your clients to end self-sabotaging habits and make financial change themselves. The final tip for life coaches who wish to empower their clients to end self-sabotaging activities which derail their desire to end bad money habits is to help them gain clarity as it pertains to their self-sabotaging actions. How can you do this? In the Financial Social Work Certification, life coaches receive a Self-Sabotaging Activity which can be used with their clients. This question and answer activity empowers your clients to gain clarity into their personal self-sabotaging actions which are preventing positive financial change. The post Tips for Life Coaches to Empower Others to Break Self-Sabotaging Money Habits appeared first on Center for Financial Social Work. 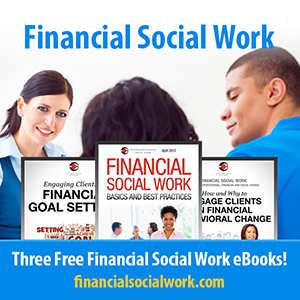 Tips for Life Coaches to Empower Others to Break Self-Sabotaging Money Habits was originally published @ Center for Financial Social Work and has been syndicated with permission.